Big Guys Pizza Invaded Calyxta! 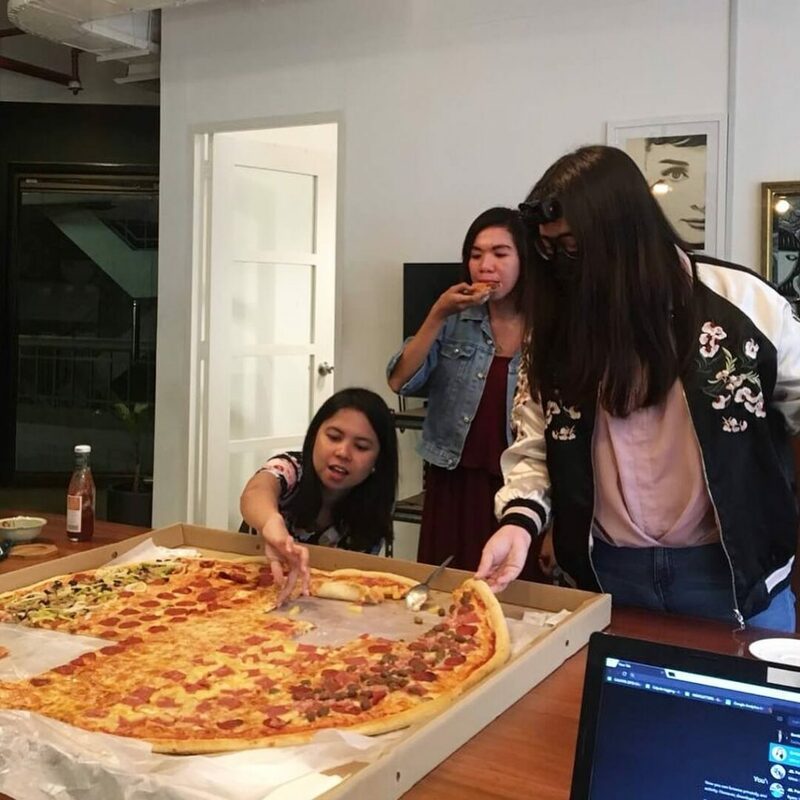 Yesterday during our lunch break, a huge surprise arrived in our office that got everyone extremely excited! 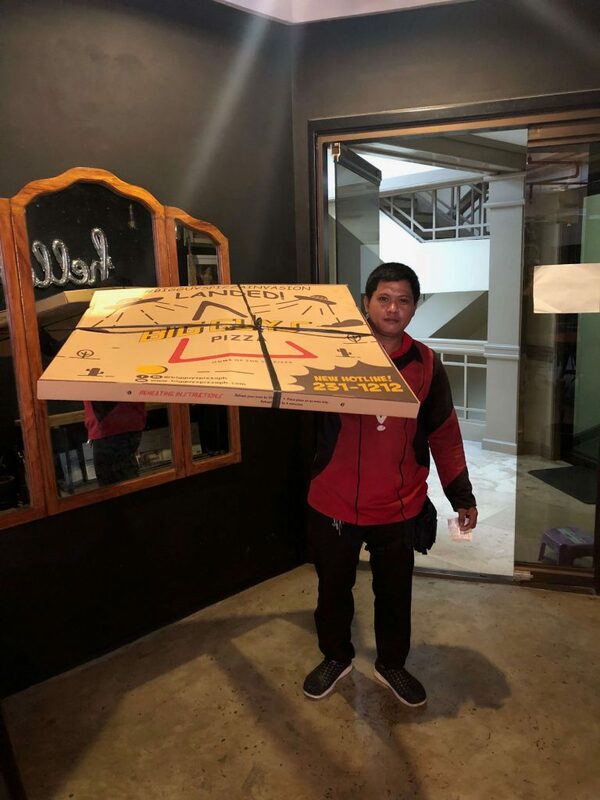 Big Guys Pizza invaded Calyxta with their infamous 36-inch pizza—with five different flavors (Cheese, Pepperoni, Hawaiian, All Meat, and Super Supreme) now on a much thicker (and softer!) crust. 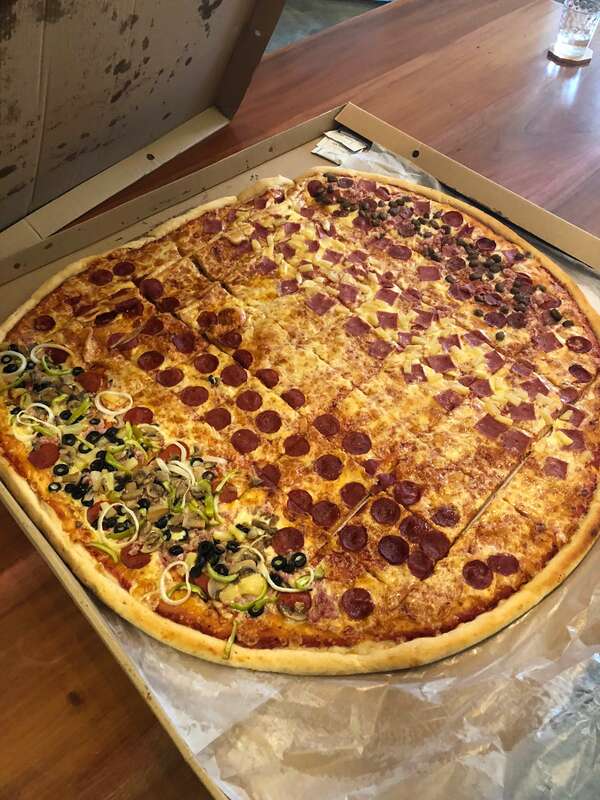 Big Guys Pizza has always been so iconic for me—it was the pizza that my friends ordered a few years ago to surprise me during my birthday. It was also the pizza I ordered during my last day at the first company I ever worked for. And I clearly remember why it was always an easy choice—because it feeds more heads at a much lower price. But while it did feed more, what it compromised was the taste. Not that it wasn’t good—it just wasn’t the best. However, these last three years, Big Guys Pizza has been dissecting their products and trying to reinvent their pizzas from the crust and up. 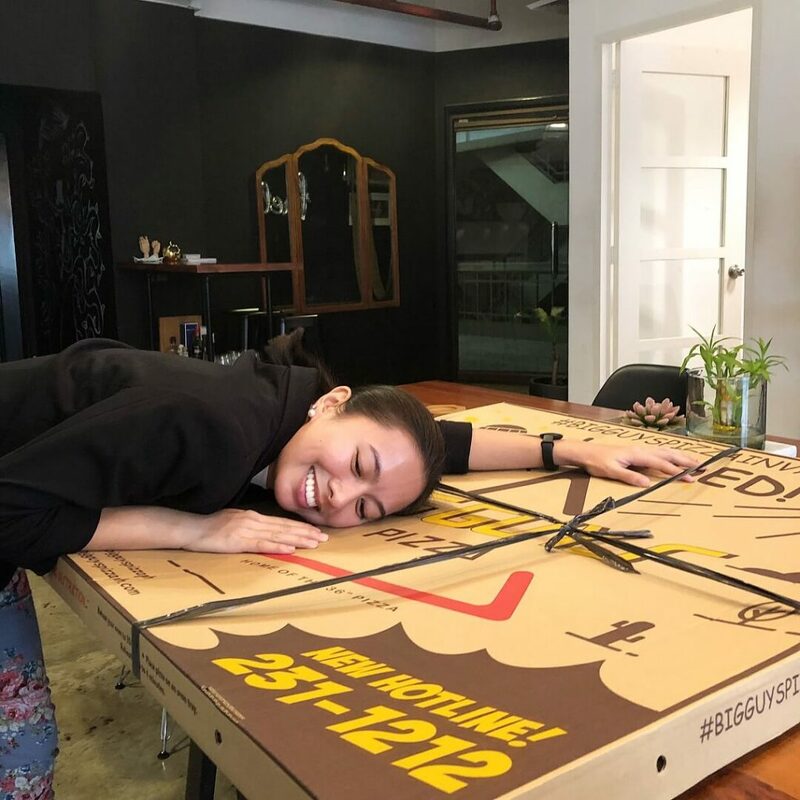 They took to social media to see comments from their fans, and went to various parts of Metro Manila to do random sampling with their customers and having them evaluate each element of their pizzas. Last June 4, the new and improved pizzas of Big Guys Pizza were launched, as they’ve begun invading the Metro. They focused on upgrading everything—the dough, sauce, and toppings. I personally love how the dough tastes now, because it tastes like a more premium pizza! My office mates all really enjoyed the taste as well. And what’s impressive is that despite the big improvements, Big Guys Pizza decided to retain their prices to remain affordable. As a treat, Big Guys Pizza has an ongoing promo until July 4, 2018—you get 10% off your order when you call their new hotline at (02) 231-1212. 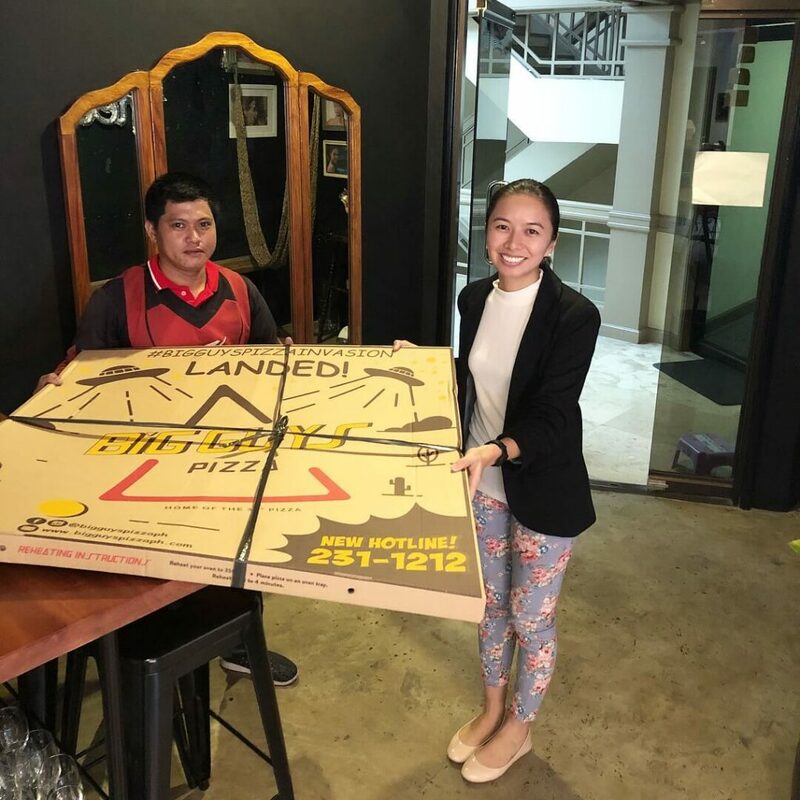 To know more about Big Guys Pizza, visit their website here. 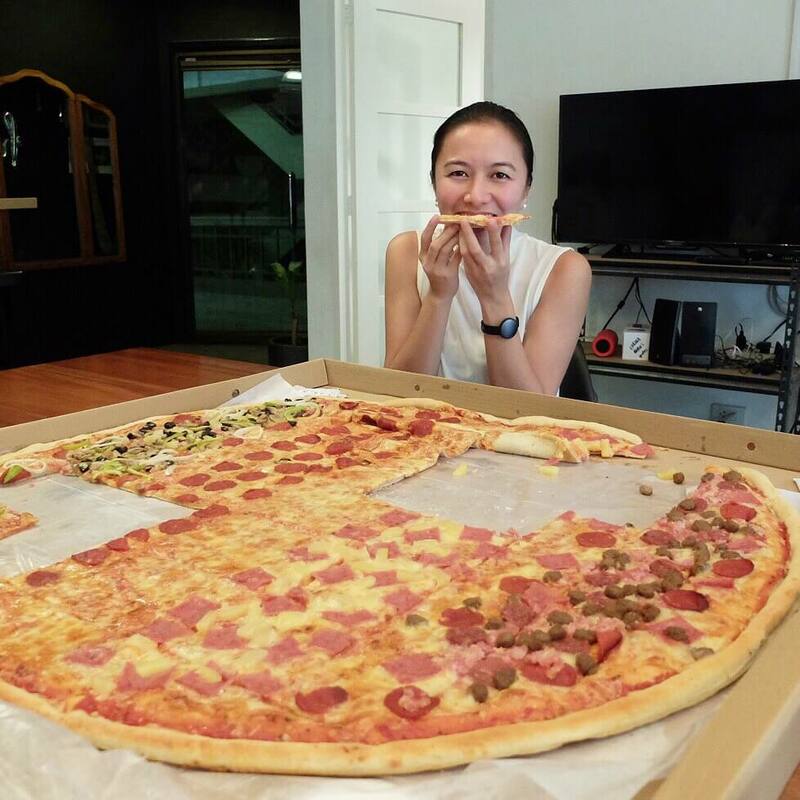 You can also follow them on Facebook and Instagram @bigguyspizzaph.